New trailer, screenshots, and box art. 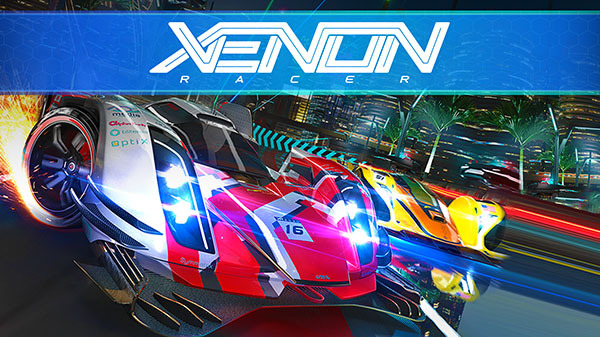 Futuristic arcade racing game Xenon Racer will launch both physically and digitally for PlayStation 4, Xbox One, and Switch, and for PC via Steam in early 2019 for $49.99 / €49.99, publisher Soedesco and developer 3DClouds announced. In Xenon Racer, players can race against the AI in Fast Race and Elimination Mode, and unlock new cars, parts and maps in the single-player Championship. To practice their racing skills and to break personal records, players can hit the tracks by themselves in Time Attack, Checkpoint Attack and Free Mode. There’s also a local split-screen mode and an online multiplayer to challenge others to a race. Race at top speeds in electric vehicles boosted by Xenon gas. Drift through the streets of cities like Tokyo and Dubai in 2030. Triumph in single-player, split-screen, and online multiplayer championships. Customize your car with tons of parts to create the ultimate racing vehicle. Watch a new trailer below. View a new set of screenshots and the final box art at the gallery.